Continuous spray Sure Shot® Wand extends 2 feet - no more bending over to kill weeds! Use shield to contain the spray and help protect nearby plants from damage. Ideal for targeting weeds in garden and landscaped beds. Can also be used on driveways, sidewalks and patios. The Sure Shot® Wand is Roundup's most convenient applicator! The innovative protective shield allows you to use Roundup with confidence to target weeds in garden beds and landscaped areas. The shield fits over the weed to contain the spray and help protect the nearby plants you love from damage, so you can stop pulling weeds in your garden! Use shield to contain the spray and help protect nearby plants from damage.Spray the weeds or grasses you want to kill until thoroughly wet. If a desirable plant is accidentally sprayed, rinse off immediately with water. Do not spray plants or grasses that you like - they will die. Not recommended for spot weed control in lawns since glyphosate kills lawn grasses. 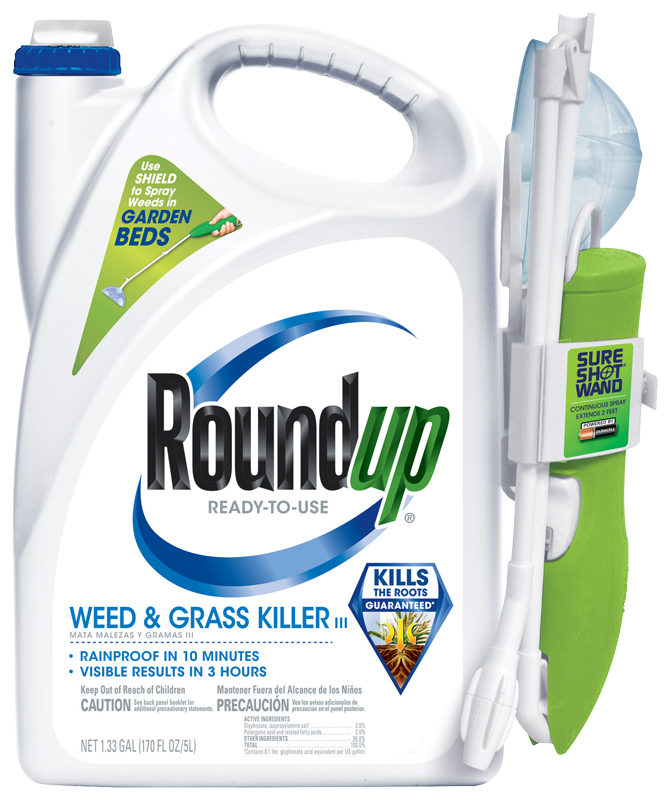 For weed control in your lawn, try Roundup® For Lawns.